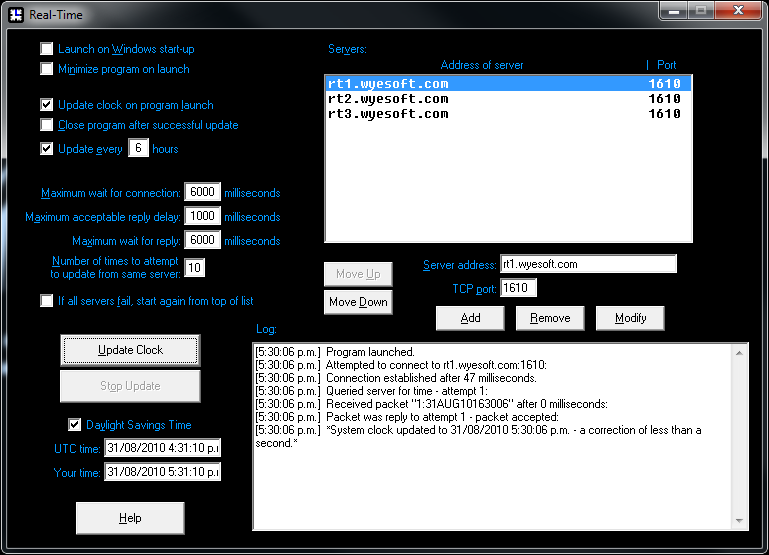 Real-Time connects to a Real-Time server through the internet, or across a LAN, updating your computer's system clock according to the system clock on the server it is connecting to. So, in other words, it is like a radio-controlled alarm clock. Where the radio-controlled clock automatically updates its time display when it receives a signal through its built-in radio, Real-Time updates your computer's clock through the internet. Note: If you wish to use Real-Time to update your clock by our servers you will need to download the up-to-date server list (below).